Summer is here, and we know what that means! Long sunny days, warm summer nights, poolside lounging, bar-b-que dinners, and of course kids, kids, and more kids! Yes, the summertime is that time that all kids love, and while this season of warmth and nostalgia is a welcome time for most, it can also be a time to get caught up on things too! 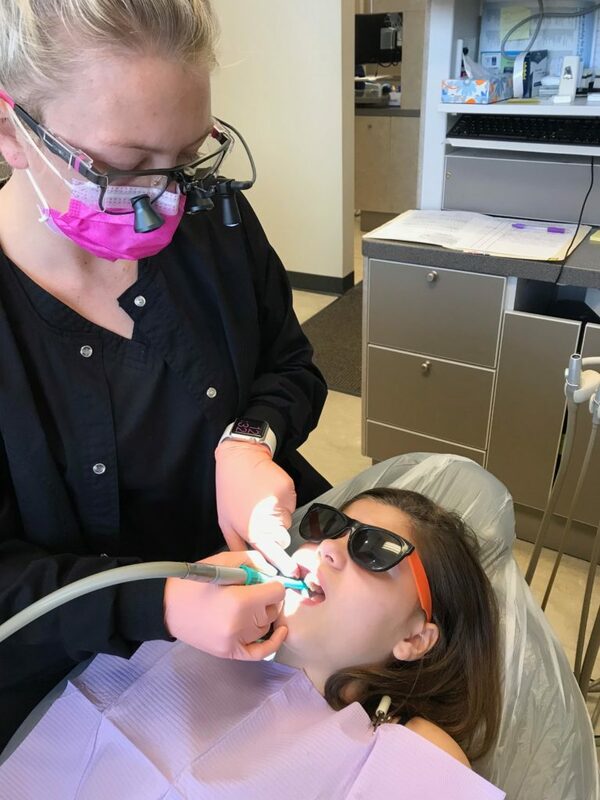 With a well-deserved break in the hectic school schedule, much can be accomplished, and few are as important as scheduling a routine dental appointment for yourself or your kiddo. Like any routine service, annual dental checkups are a mandatory requirement in maintaining proper dental hygiene and health. To achieve this, Dr. Kimes and other professional dentists generally believe in following what is known as the “six-month rule”. This of course, calls for two appointments per year, with a six-month period between each dental appointment. While this may seem a bit excessive to some, it is highly recommended that patients of all ages adhere to this rule as prevention is always the key to good oral health. As certainly many parents can attest to, the school year can be very hectic at times, especially for parents who must balance this with a full-time work schedule. Therefore, the benefits of scheduling a summertime dental appointment are staggering to say the least. As mentioned earlier, preventative dental treatment is paramount to maintain long term oral health. This is particularly true with busy students during the school semester. Nothing can disrupt someone’s daily activities like a nagging toothache! By receiving the recommended summertime dental appointment, you might be sparing your kids from any future tooth problems or potential distractions. Interruptions in your work schedule and your children’s school schedules are sometimes unavoidable; however, there’s certainly no reason for anymore inconvenience than necessary. While this is not always the case, certain school districts may require students to receive a standard oral exam prior to enrollment, or by a selected date within the fall semester. Although this is likely to vary somewhat depending on the specific school, its always better to play it safe and get the standard check ups out of the way before the semester starts. With time to spare and schedules open, the time to make those mandatory appointments is now! Remember although summer appointments are always a great idea, with the busy fall semester on the horizon, remaining dental appointment spots won’t last for very long! So save yourself and your kids the hassle, and make your family’s dental appointment today! Dr. Charles R. Kimes, DDS and his expert team at Overland Park Dentistry look forward to having the opportunity to care for you and your family with any preventative, restorative or cosmetic needs you or your family may have. To schedule your dental appointment or consultation with your Overland Park Dentist, contact us at our south Overland Park office at (913) 647-8700 or our north Overland Park office at (913) 341-2380.